First Row (L to R): Alexandra Villoch, George Foyo, Mario del Valle, Adolfo Henriques, Sidney Levin, Merrett R. Stierheim, Governor Jeb Bush, Burton Landy, Carol Wyllie and Modesto Maideique, Ph.D. Second Row (L to R): Benjamin J. Mollere, Joseph W. Pallot, Calixto Garcia-Velez, Ernie Diaz, Jaret Davis, Neisen Kasdin, Angel Medina Jr., Donna Abood, Alan Becker and Larry K. Williams. 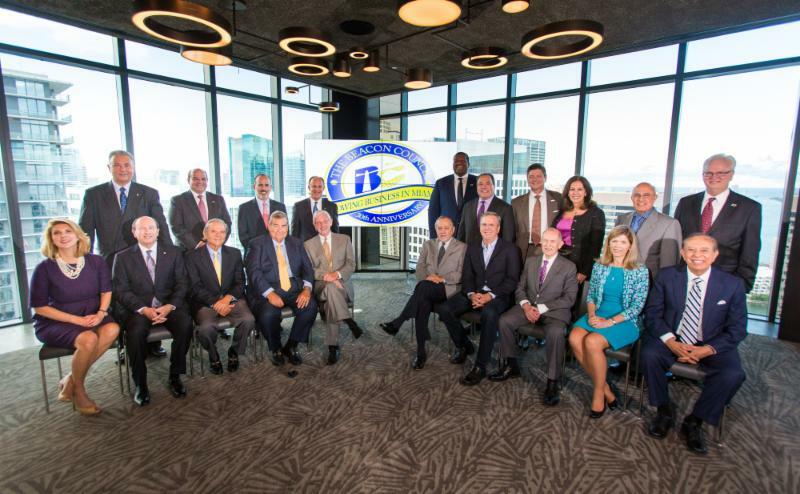 The Beacon Council’s Past Chairs met to discuss ways to continue to increase jobs and investment in Miami-Dade County.”Our leadership is a who’s who of Miami’s past, present and future business and community leaders. Every time we get together, I am impressed with the incredible passion, insights and dedication they have for Miami-Dade County, and the important work of economic development,” said Larry K. Williams, President & CEO. 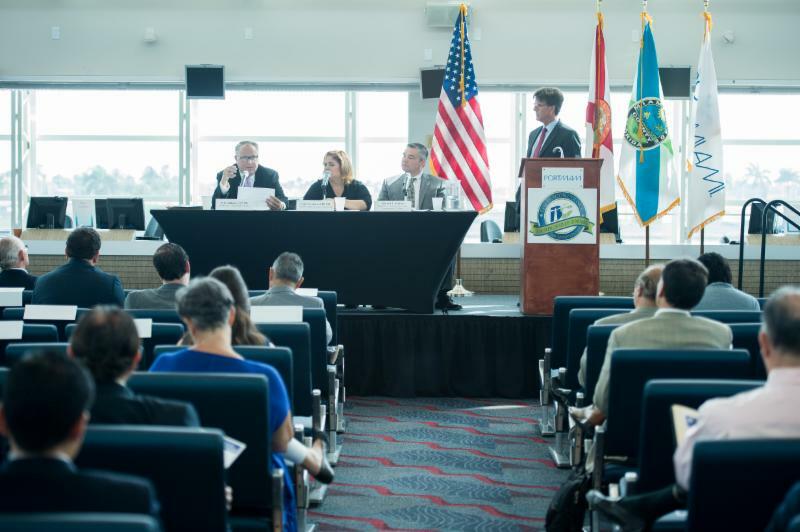 The Beacon Council partnered with PortMiami and the Miami Free Zone to provide a Free Trade Zone (FTZ) workshop on June 2. FTZs are a special area where companies can import materials, manufacture goods, export products, without being limited by the usual rules and taxes. The FTZ program has proven to be a successful trade program by consistently creating and retaining jobs and capital investment. Florida has the second largest network of FTZ grantees in the country (#1 was Texas). Florida was ranked #3 in the nation for exports from warehouse/distribution facilities (#1 was Texas, #2 was South Carolina) and Miami had two FTZ grantees ranked in the Top 15 for exports from warehouse/distribution facilities (#11 was FTZ 281 and #15 was FTZ 32). The workshop included three panels of experts that advised the attendees on the advantages and the processes for FTZs. The Beacon Council Trade & Logistics Committee launched the workshop meant to help local businesses grow. Read more at PortMiami’s link below. 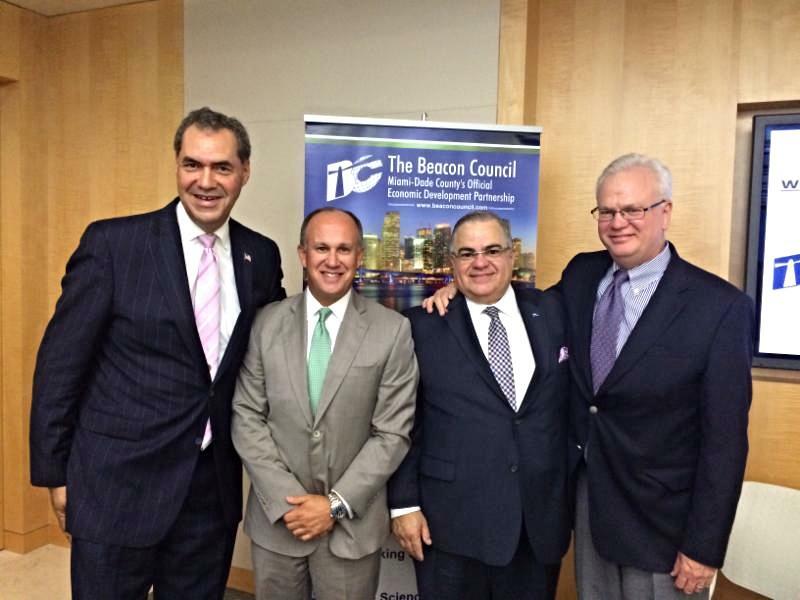 The Beacon Council Banking Committee welcomed Alejandro “Alex” Sanchez President & CEO, Florida Bankers Association, as quest speaker June 3. Sanchez mentioned how Miami is the banking capital of Florida with the largest concentration of domestic and international banks on the east coast south of New York. Sanchez spoke frankly about the challenges facing the banking industry at every level, particularly within the regulatory system. He emphasized the need to have the ability to offer international clients the ability to use banks in the United States as opposed to them going to other countries for their banking needs. He thanked The Beacon Council for its mission to bring high paying jobs to Miami-Dade County as is also necessary throughout the nation. Larry K. Williams, President & CEO, The Beacon Council, provided welcoming remarks citing Miami-Dade’s leading the state in financial jobs. Roberto Muñoz, Committee Chair, talked about BBVA compass and how he is celebrating his 37th year of banking. 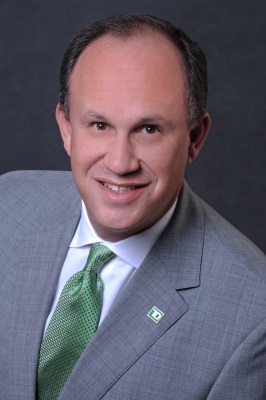 The Beacon Council Chair Ernie Diaz, Regional President Florida, TD Bank, also discussed the importance of providing paid internships. One of the committee’s objectives is to increase the number of paid internships in its industry. Stanley Rigaud, Manager of International Economic Development, The Beacon Council; Rachel Johnson, Grassroots Marketing Manager, Uber Miami; Kasra Moshkani, General Manager, Uber Miami; and Lyndi Bowman, Director of Economic Development, The Beacon Council. 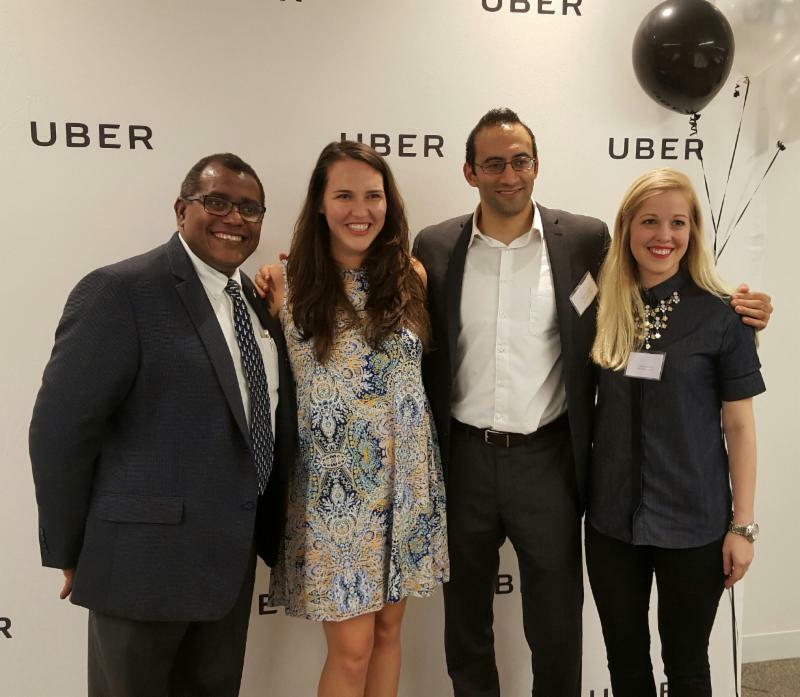 On June 1, The Beacon Council joined other leaders of Miami’s business community in celebrating Uber’s two-year anniversary. Uber has provided South Florida residents and visitors not only with safe rides but also an alternative mode of transportation that was much-needed as Miami continues to grow and attract new companies to the area. Thanks to both the support of Miami-Dade County’s business community and the Board of County Commissioners, as of May 2016, Uber and other ride-sharing companies now operate legally in our community. The Beacon Council commends Uber for being at the forefront of using tech to help solve day-to-day challenges, and helping to make Miami attractive for more tech-enabled and innovative companies to call Miami home. Congratulations. Military Miami-Dade, a program of The Beacon Council, hosted the 2016 Doing Business with the Military event on May 20 at the Airport Hilton. 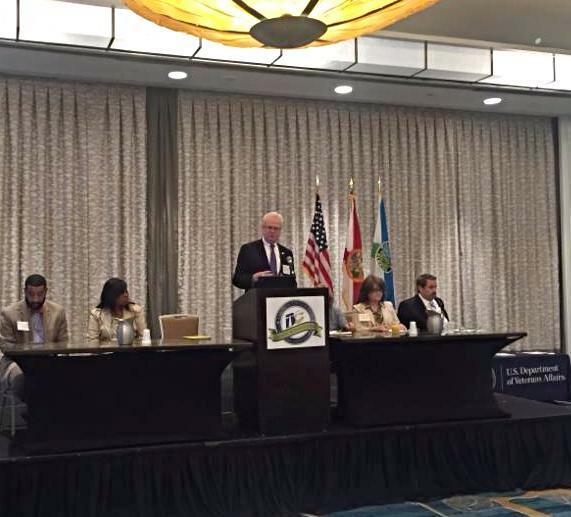 Miami-Dade Commissioner José “Pepe” Diaz, chair of the Military Affairs Board, provided remarks at the event and emphasized the economic impact of the military and acknowledged his own military service. He challenged the audience to become a part of the support system for our local military. The Beacon Council President & CEO Larry K. Williams welcomed the attendees and said the military’s economic impact exceeds $5.5 million annually and adds more than 56,000 jobs with an annual salary of more than $70,000. Diana Gonzalez, Enterprise Florida Senior Vice President, presenting the statewide impact of the military. According to the 2015 Florida Defense Factbook the military’s impact on the state reached $79.8 billion or 9.5 percent of the gross state product and generates nearly 775,000 jobs. Lawanda Wright Robinson, Technical Assistance Coordinator for Miami-Dade County’s Small Business Development Division, presented an overview of the many services available through her division. Julio Piti, with CareerSource South Florida, outlined the resources available including a career specialist staffed at HARB and Southcom dedicated to assisting the military spouses seeking employment. The event included the opportunity to meet one-on one with the 20 military support organizations. Thank you to the many groups who volunteered to make this opportunity available to the small business community. See list. As part of the One Community One Goal strategic initiative, The Beacon Council Committees are meeting with representatives of the Academic Leaders Council to talk about job-preparedness for college students. Recently, The Creative Design Committee met with the group and discussed easing the transition from college to careers by requiring students take courses in job-preparedness. They emphasized traits such as tenacity and perseverance and the need to go beyond an online applications when seeking employment. They said students need to learn soft skills early on and be exposed to people outside of their environment. The group discussed the importance of networking and thinking outside the box. They spoke about the power of meeting someone one-on-one and how companies are looking for someone who is passionate about their careers. Easy Solutions is a security provider focused on the comprehensive detection and prevention of electronic fraud across all devices, channels and clouds. Our products range from fraud intelligence and secure browsing to multi-factor authentication and transaction anomaly detection, offering a one-stop shop for end-to-end fraud protection. The online activities of over 85 million customers at 316 leading financial services companies, security firms, retailers, airlines and other entities in the US and abroad are protected by Easy Solutions Total Fraud Protection® platform. Miami-Dade County has the third largest cluster of logistics & distribution establishments in the U.S. with companies like Ryder Systems, Landstar Systems and CEVA logistics. The Trade & Logistics Industry includes nearly 2,400 companies that employ more than 31,000 people in our community.